“We are humbled by the great support and interest shown by various stakeholders over the course of the year about DEXON. 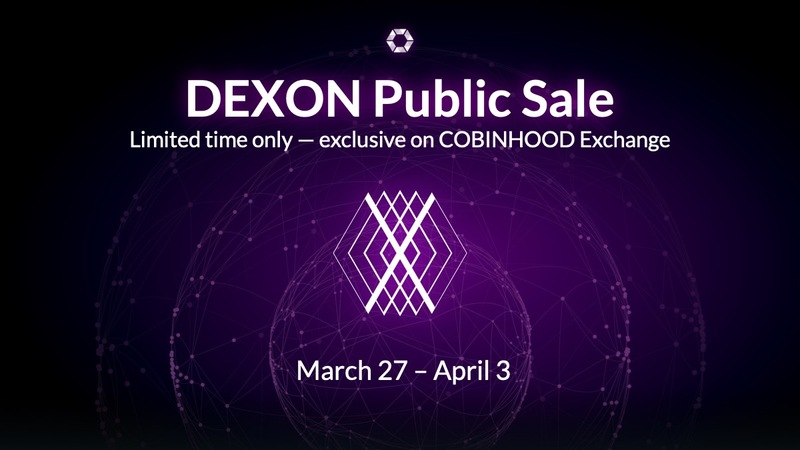 As our team prepares to release the DEXON mainnet, this public sale’s primary purpose, rather than fundraising, is to allow our supporters to become active contributors to the network’s growth. It is a mutual testament between our team and our supporters’ commitment to expanding the DEXON ecosystem, and we invite everyone to participate in this sale to enjoy, first-hand, DEXON and its products and features to be rolled out in the coming months,” said Popo Chen, co-founder of both COBINHOOD and the non-profit DEXON Foundation.